The government is targeting to reap up to shillings 862b as bare-minimum from new tax measures presented to parliament. 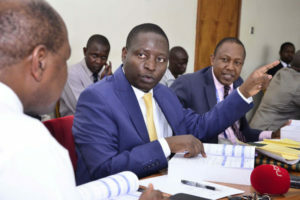 This has been revealed by the minister of State for Planning David Bahati while appearing before the House Committee on Finance, Planning and Economic Development today. The minister was appearing to officially speak to the tax measures for the financial year 2019/20. 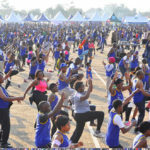 Bahati says that as a measure to attain the target, the government is already designing a Domestic Revenue Mobilisation Strategy which involves revenue mobilization targets premised on broad-based consensus on medium-term revenue goals; a comprehensive tax system reform as well as securing adequate resourcing both domestically and from donors. Uganda Tourism Board is optimistic that the revival of Uganda Airlines will greatly boost the sector. 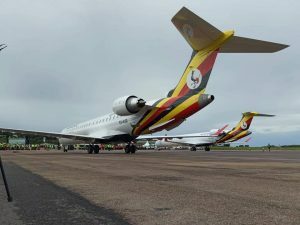 Two of the four commissioned Bombardier CRJ900 air crafts landed at Entebbe International Airport yesterday as part of the much anticipated plan for the revival of Uganda Airlines. 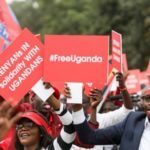 The aircraft, that carry Uganda’s national flag on the wingtip, are expected to significantly boost the countries trade on the global market and also facilitate travel across the continent. 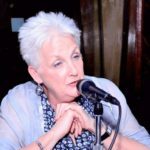 Speaking to KFM, the board’s Chief Executive Officer, Lilly Ajarova said the arrival of the bombardiers and revival of Uganda Airlines is a step closer to UTB’s goal of marketing destination Uganda. 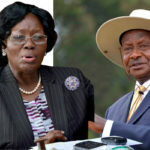 Lawmakers on Parliament’s Committee of Finance, Planning and Economic development have once again watered down, a move by the government to write off tax arrears worth Shs 462 billion. The figure includes unpaid taxes arising out of government commitments to large scale investors while the rest is uncollected tax from contractors on government projects. 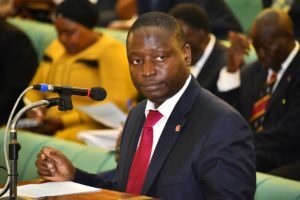 The request presented by the minister of State for Planning David Bahati is veiled in the Tax Procedures Code (amendment) Bill 2019 as one of the measures to reduce the government’s tax burden and unpaid arrears. The first attempt to write off the arrears was in 2017 but was rejected by Parliament. Mr. Bahati explained that the arrears arose out of government’s commitments to pay taxes including customs duties and domestic taxes on behalf of entities deemed to be of strategic importance to the country and on behalf of NGO which had contractual obligations with the government. 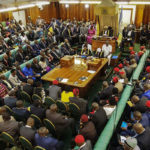 However, MP’s including Kabula County’s James Kakooza (NRM), Nathan Nandala Mafabi (FDC, Budadiri West) and the committee chairperson Mr Henry Musasizi (NRM, Rubanda East) questioned the government motive. The lawmakers contend that the government, as the biggest consumer of public revenue, must lead by example in meeting tax obligations. 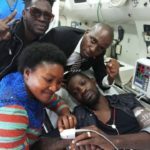 Police has confirmed that a total of 29 people are currently nursing serious injuries at Mulago hospital following last evening’s nasty accident at the Bukoto traffic lights near Kira road police station. 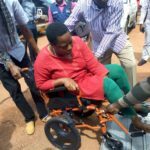 The accident happened after the driver of a trailer carrying tiles failed to brake and rammed into eight parked cars and two motorcycles as they waited for the traffic lights to release them. 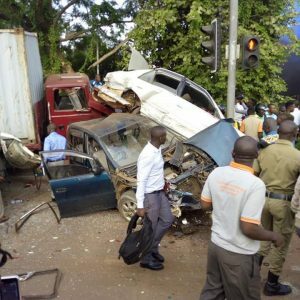 The traffic police commander in charge of Kampala Metropolitan Norman Musinga says the driver of the trailer has been arrested and that they are to use the police CCTV footage to carry out more investigations of what could have happened. 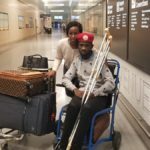 Musinga says there is no confirmed death so far contrary to what was earlier announced. 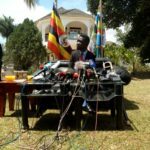 The Leader of Opposition in Parliament has vowed to rally other legislators to visit the Kyadondo East MP Robert Kyagulanyi who is currently under house arrest. 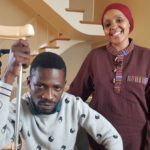 Betty Aol Ochan says if by this afternoon Kyagulanyi is not allowed to move out of his house, the MP’s will stand with him in solidarity. 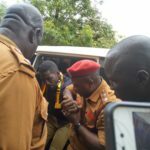 Her remarks come after the deputy Speaker of Parliament Jacob Oulanya while presiding over the house sitting yesterday said parliament would not meddle into what has now come to be known as the Bobi-Police circus after several of the former’s music concerts were cancelled over alleged contravention of the Public Order Management Act by the organisers. 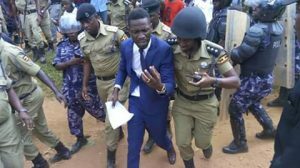 According to Ochan Bobi Wine is under house arrest illegally because he broke no law and that it is within the powers of the speaker parliament to protect all legislators. 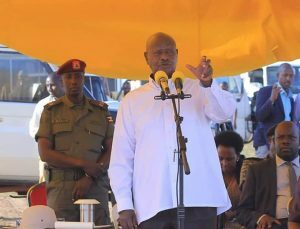 President Yoweri Museveni has declined a request to handover the Nakasongola airport to Civil Aviation Authority. 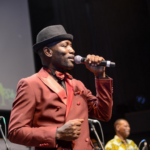 The request was made by the Authority’s board chairman Edward Mike Ndawula as the country received the 2 new bombadier aircraft of Uganda airlines at Entebbe airport. Ndawula said the country has only one international airport which is Entebbe arguing that if government hands over Nakasongola airport in which the CAA has so far invested 30 bn, it can be upgraded to become the country’s second International airport. 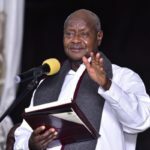 However the president advised CAA to drop the idea of taking over Nakasongola, proposing that it looks at other airports like Gulu and others.